Depending on the size of your organization and what your particular KPIs look like, you may not get a whole lot of time to focus on the big picture. When it comes to UX and CRO, this can be particularly challenging even for the most experienced marketers and specialists. The reason is simple, there’s too much to cover. So let’s build a simple checklist to make sure that your funnel is optimized from top to bottom. The top of the funnel is where most of us marketers like to hang out. Understandably so. Generating traffic and leads seems a lot sexier than optimizing the appearance of your credit card collection form. Make no mistake, ensuring your credit card form is slick and minimalistic can have a serious impact on conversions. Don’t worry, we’ll get there. But for now, let’s dive in and see how to optimize just the tippy-top. It’s safe to say that keyword research is pretty low on the average marketer’s “favorite things to do at work” list. It’s a cumbersome and time-consuming process. Worse yet, it can often leave you feeling hopeless and defeated. But it’s a necessary evil, and one that can truly work wonders for your traffic generation when done correctly. Start by considering your searcher’s intent. When someone realizes they have a problem that your business solves, what will they type into Google? If you need some inspiration, AnswerThePublic is a great tool that will show you the most common related queries typed into the search engines. After getting some ideas, plug those queries into your keyword explorer of choice (Moz, Ahrefs and SEMrush are all good solutions) and look for opportunities with relatively low competition and decent search volume. Don’t forget, a keyword with a monthly volume of 200 can occasionally be more valuable than a keyword with over 1000 searches in a month. Many factors are at play here, and I’d recommend taking a look at this guide. 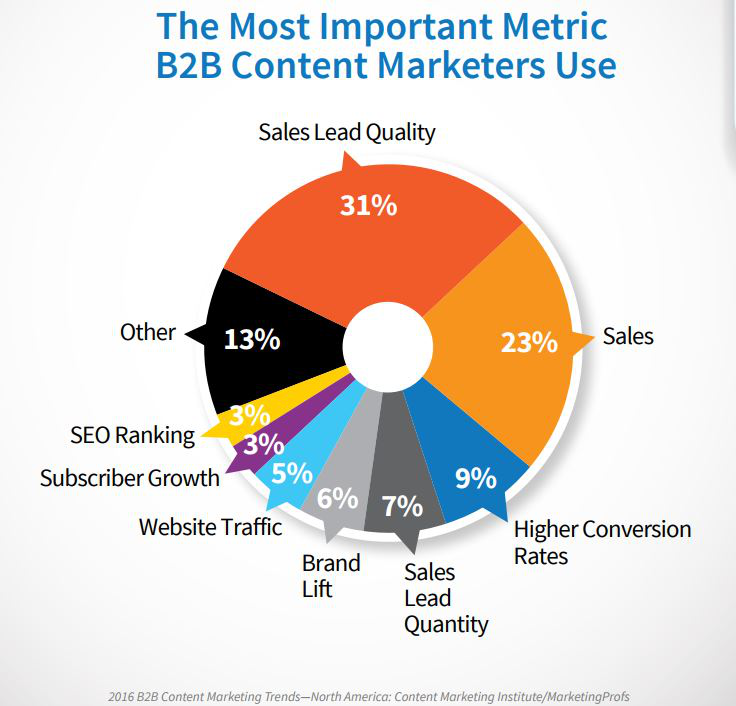 If you want to build targeted and valuable traffic, you’re going to need to spend some time thinking about content marketing. Now, many marketers openly admit that they don’t have a well thought-out content strategy. 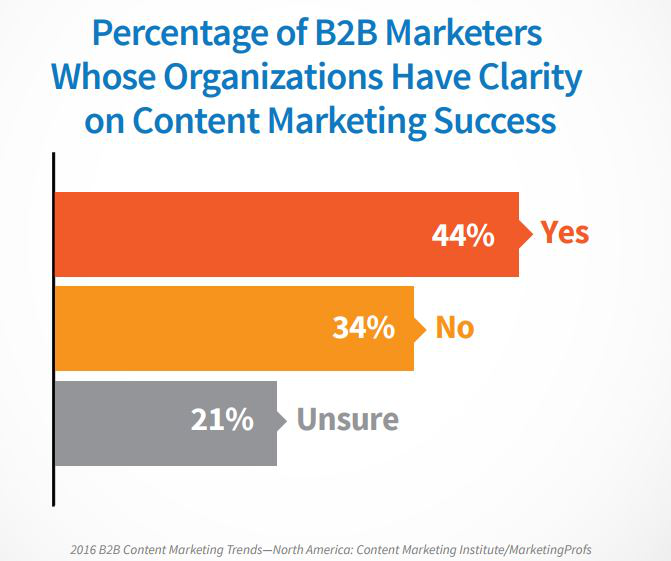 In fact, a recent study found only 44% believe that their content marketing goals are clearly stated! This is understandable given the time required to build a complete strategy. But don’t fool yourself into thinking that you’ll be competitive without documenting your own strategy. Having a documented strategy is crucial to traffic generation success. Without it, you may be creating content left and right, but you’ll have no idea which channels or types of content actually drive the most engagement. Document the direction your content marketing will take in the coming quarters. Do this thing before you start creating and promoting the content itself. For a complete understanding of the process, here’s a beginner’s guide. This rather simple step will work wonders to keep company stakeholders happy and allow you to take care of the next checklist item as well. So let’s say you’ve documented your content strategy and spent some time analyzing the competitive landscape. You know what keywords you want to go after and are reasonably confident you can get into the top 3 and start earning those leads. Before you start publishing and promoting all of that awesome content you’ve got in the bullpen, make sure that you’ve got a measurement plan in place. Do you have a solid understanding of how you’re going to monitor the ROI of your content marketing in the months to come? Are you aware of the pitfalls that many marketers face when they overvalue certain metrics and ignore others? It’s important to note that there are many different types of content. Video, infographics, social shares, blog posts… the list goes on and on. Similarly, there are a huge number of channels through which these various content types can be promoted. When you dive into the analytics a few weeks down the road, keep your eyes peeled for what channels and what types of content generate the most engaged and valuable leads. Having this process dialed in will set you up to double-down on the most effective methods you identify. Now we’re ready for things to get interesting! You’ve got a steady stream of new website visitors, but what are you going to do to keep their attention? 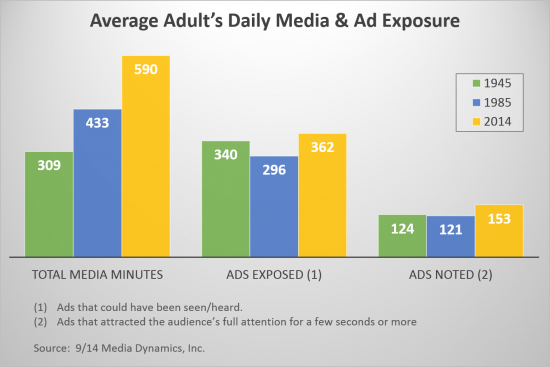 One recent study found that on average, consumers are exposed to hundreds of ads every day. What’s more, the New York Times reported that the average person can experience up to 5,000 ad impressions in a single day. With such an overwhelming number of brands getting in front of consumers every day, it’s increasingly difficult to make a lasting impression. • Gets a repeat visit? • Earns the opportunity to convert a lead into a sale? Here are a few of the most high-impact ways to start jacking up your conversion rate. It’s an age-old sales trick, but one that’s cliched for a reason: it works. Creating and leveraging a sense of urgency can work wonders for helping that on-the-fence lead. You can create advertisements that mention a limited inventory of a particular item. You can also offer special discounts to followers of your social media feeds, your advertisement that mentions limited inventory of a particular item. The sky’s the limit. SaaS companies can take advantage of this tactic as well, though many still haven’t caught on. It can be a bit harder to accomplish, but don’t be deterred. They can make quite the difference when done correctly! All of these tactics, when combined with a time factor, are guaranteed to help those leads that may be on the fence about making a purchase. For many consumers, trust is the deciding factor. Will you make good on your promises to them? Are they getting a good deal? Is it safe to do business with you? These questions are all bouncing around in a prospect’s head when they’re in the middle of your sales funnel. It’s therefore both obvious and critical that you encourage (and deserve) their trust. This can be accomplished in any number of ways. I’d recommend dabbling with all of them to find out which have the biggest impact on your leads. Like I mentioned above, experiment with these and let the data do the talking! As we saw earlier, consumers are inundated with brand mentions on a daily basis. So it stands to reason that you’ll want to work extra hard to stay in front of leads (hopefully without being a nuisance). If they’ve given you permission to email them, be sure that you have some automated email drips set up to provide them with additional context about your service. You can also use these emails to take advantage of the “leveraging urgency” methods above. There are so many different methods to remarket that it’s worthy of linking to an entire guide on the subject. Kissmetrics does a great job comparing and contrasting the various approaches you can take with remarketing. Display ads have notoriously low CTR, but that doesn’t mean they don’t have value. Especially when used for retargeting, they can have quite an impact. Check out this example from Heineken. Since many platforms bill these as PPC and clicks are few and far between, it’s an easily affordable way to pop up and remind your prospects about your brand. We’re nearly at the finish line! You’ve got a solid understanding of how to earn more targeted traffic to fill the top of your funnel. You also know how to leverage some amazing tools and some pretty cool psychology to get your prospect ready to buy. Now let’s cover a few items that will help ensure you don’t lose them before the deal is sealed. You might say “but this is what my sales team is for”. Or assume your FAQ will have it all covered. Trust me. Not everyone is willing to read a FAQ or comb through your extensive Support documentation. Digestible and scannable content can make a big difference. You can get a bit more creative with this content since keyword optimization shouldn’t be much of a concern. At this point you already have the prospect’s attention. I’d also advise taking a look at the final stages of your competitors’ funnels. What kind of materials are they equipping leads with and how are they proving their worth? Feel free to take inspiration and engage in a little “one-upmanship”. Do they claim to increase sales by 20%? Find a case study from one of your own customers where you were able to increase their sales by 25%. These little details can help nudge a customer from a rival to your own solution. I’m still amazed by some of the clumsy and ineffective credit card forms I see across the web. Especially when it’s so well-documented that humongous gains can be had by optimizing these simple forms. Check out this one case study where UXdesign.cc walks us through the process of their credit card collection form overhaul. You can see the form getting simpler and more effective as they go through the process. Very helpful!